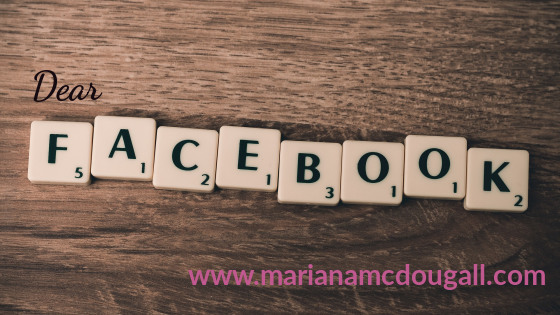 I love connecting people to resources, whether those resources are other people, information, or places. And whereas that looks helpful, the truth is, it could be seen as a pretty selfish thing to do. I help others because helping others makes me feel good. And we all like to feel good, don’t we? And making me feel good is not the only advantage of helping others. It turns out that it helps people remember who I am—and that’s pretty good for business. I’ve met many people in my 36 years. Wonderful people, helpful people, people who are truly interested in helping others succeed. And I’ve also met people who will do anything to ensure they themselves are successful—including throwing others under the metaphorical bus to get ahead. And in my experience, those people who’ll do anything to get ahead—including hurting others—get ahead in business, all right. But eventually, it all comes crashing down. They might be making a tonne of money, but they slowly lose friends, and end up alone and miserable. Money doesn’t bring happiness—though it sure makes life easier sometimes. I may not be rich in material goods, but collecting material stuff is not what I want out of life. I have what I need to live a good life: water, shelter, food, and friends and family that I enjoy spending time with—both in person and online. And to me, personally, that’s what life is all about: friends, family, and spending time with the people who bring you joy. A long time ago, I adopted a “seek to serve” mentality. I’m always thinking about how I could help others, though I’ll be honest, on days when I’m having a lot of pain, that’s hard. And sometimes, it’s OK to “take a day off” from being super nice. I’m not mean to people when I’m having flare-ups, but I make sure I’m taking time away from people when I need to concentrate on self-care. But on any other day, I do what I need to do to take care of myself, while also looking to help others. The “seek to serve” mentality has served me well over the years. I use this mantra because it makes me feel good, but the side effect is that people remember me. And that’s how I get most of my business through word-of-mouth. 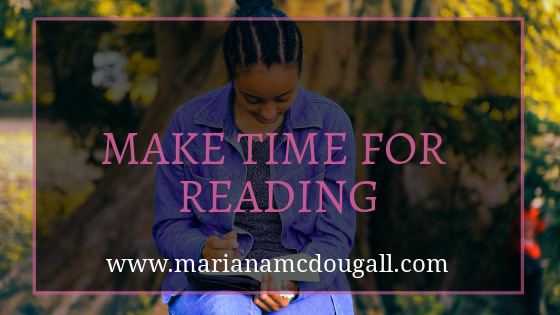 After seeing me answer questions in many Facebook groups for writers, or after witnessing me connect people with useful resources, these same people remember me when a client is looking for work that they’re not experts in, but that they know I could do well. This is how one of my largest clients “landed on my lap:” a referral from an online friend who’s seen me help others online. 1. Be genuinely interested in others. Take interest in what other people are doing, in what their business is about, and in what their interests are. Because when we are “aware of what others are doing, applaud their efforts, acknowledge their successes, and encourage them in their pursuits… [and] we all help one another, everybody wins” (Jim Stovall). Study good active listening skills and practice them daily. Listen to what others are saying, don’t interrupt, truly take in information, and think about how you could help them based on that information. 3. Always be thinking about how you can help people. As you truly listen to others, always be thinking about how you could help them with resources you know about, be those resources people, information, or places. Tell people about things that could help them in their business: not unsolicited advice about how to do things, but things they may be interested in researching or checking out. 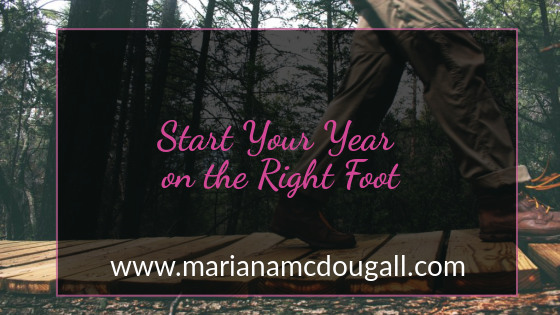 This actually provides people with useful tips, without making you seem like a know-it-all or a bossy person. 4. Wait for those referrals (don’t ask for them—yet). I rarely ask for referrals, yet I frequently get them. I believe this happens because people tend to remember those who help them, and subconsciously, at least, they want to help them, too. Again, I don’t help people just to get referrals. 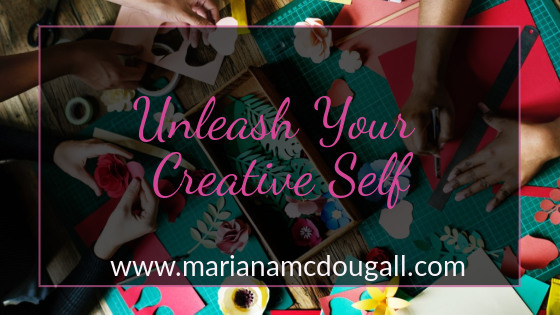 I truly take joy in connecting people with resources, because seeing others succeed makes me happy. So, remember: seek to serve, and you’ll see success. 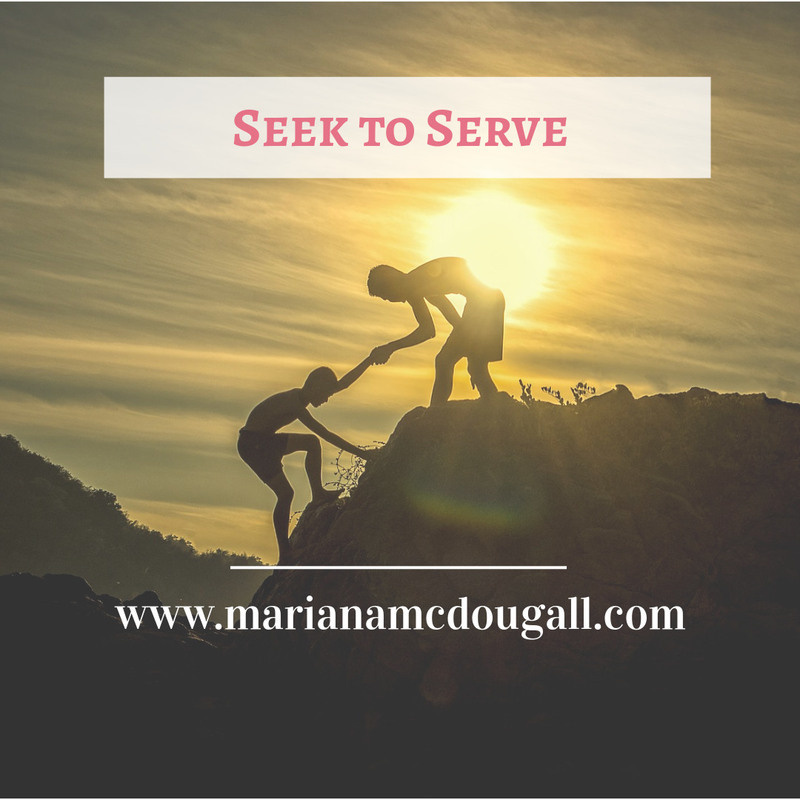 How do you seek to serve? 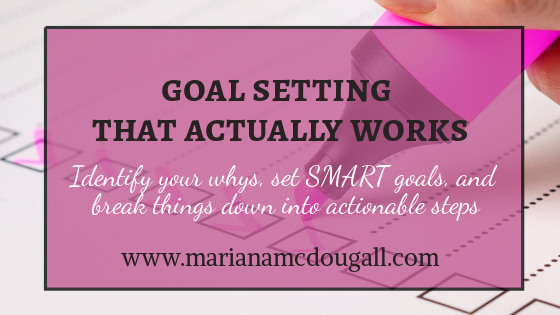 Setting Goals That Actually Work—FREE Worksheet! So… you’re a procrastinator. It’s OK, you can admit it. Most of us had no issue calling ourselves out in school. When we were up all night finishing an assignment that was due the next day, we’d just say it: I procrastinated. Then we became adults, and realized adulting is hard. Missing deadlines now have bigger consequences than failing a class. Especially if you’re a freelance writer. Or a mom who’s also a freelance writer. If procrastination is getting you down, it’s time to make things right by setting some goals that actually work. I’m not great with accountability. Let me rephrase that. 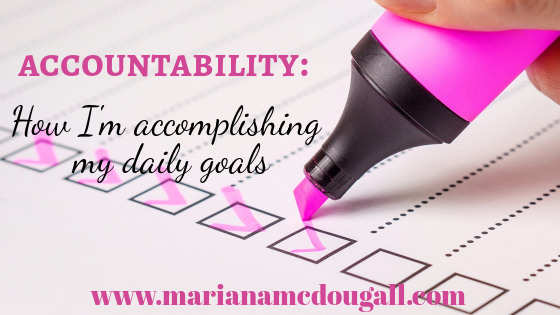 I’m an accountable person when it comes to my work. 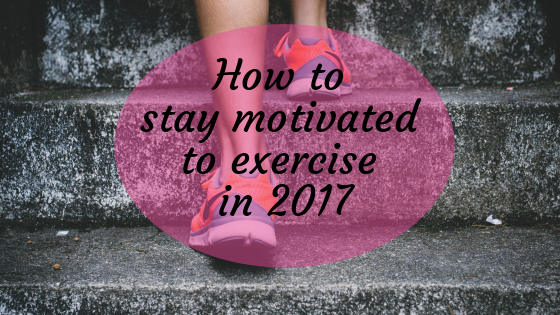 But when it comes to personal goals, I often don’t do well with accountability strategies, such as checking in with an accountability buddy. But I think that’s just because I hadn’t found “my people” yet. Emotional eating. Behavioural Eating. Disordered Eating. Food Addiction. There are so many names for it, but no one ever calls it what it is. 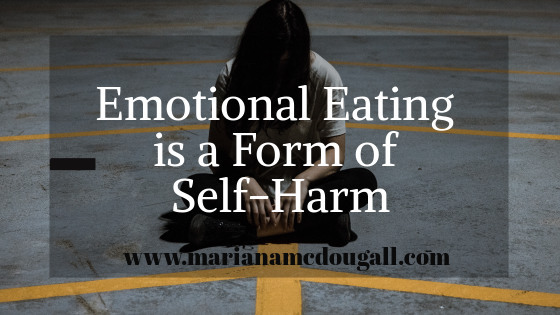 Emotional eating is a form of self-harm. And most people who engage in this behaviour, myself included, don’t see it. We see it as comforting ourselves. Even when it just makes us feel worse. It’s time we call our own selves out on it. 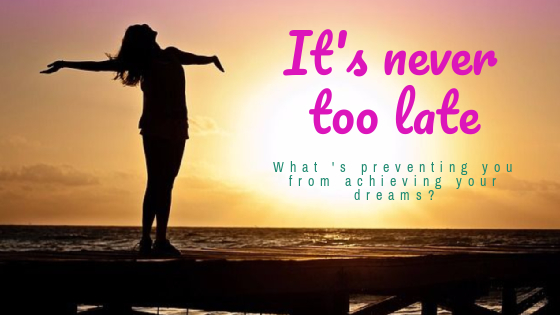 Be honest: how many times have you uttered one of the sentences above after thinking about a dream?